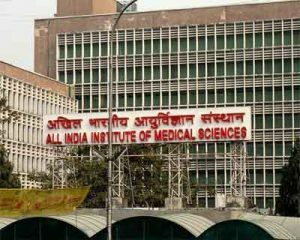 New Delhi: AIIMS has conducted over 16,000 corneal transplant surgeries in the last 50 years, Chairman of the National Eye Bank Jeewan S Titiyal said. “We received eyes from about 23,000 donors at the Eye Bank, out of which more than 16,000 were used for transplant surgeries. In last one year, we have performed about 1,000 transplantation surgeries,” he told reporters at AIIMS. As part of the National Eye Donation Fortnight–August 25 to September 8–the National Eye Bank will on today also felicitate about 100 family members of those people, who have donated eyes, as well as NGOs and social workers who have worked in this field, he said. Titiyal, Professor of Opthalmology at AIIMS, said a walk for eye donation would also be organised in the institute’s campus to promote eye donation volunteership so as to combat corneal blindness.